On our arrival we were greeted by Karen, our server for the evening, and we were all happy to see we had a rare round table which is so much more conducive to conversation. 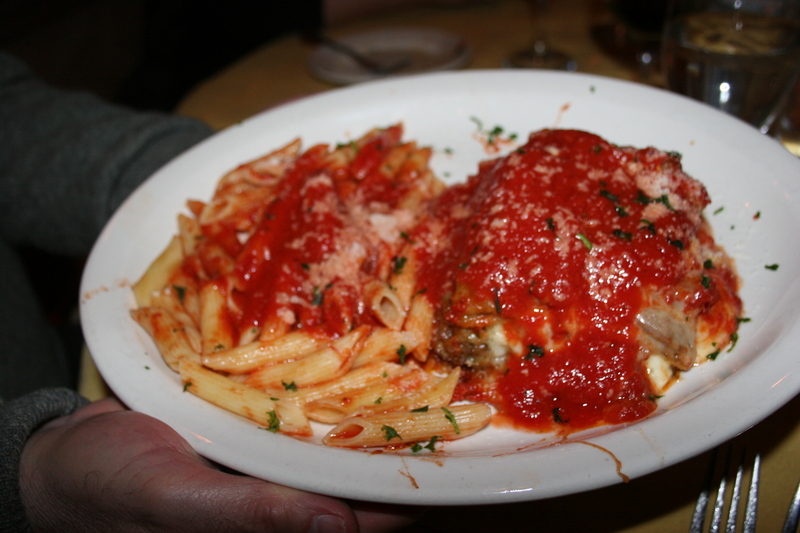 We were presented with menus which we opened and discovered that DiPaolo’s may be in Penns Grove but their prices would be right at home in downtown Philadelphia or even New York City. While trying to shake off this culinary version of sticker shock I jokingly suggested that perhaps three of us could share a crab cake. Kathy and I had a glass of the XYZinfandel at $8.00 a glass which was reasonable and unlike last week at Ca tillo’s, a generous pour. 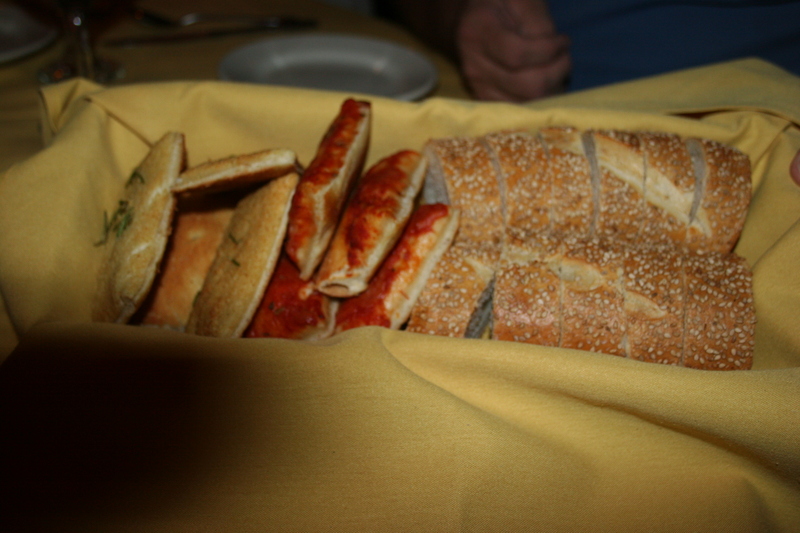 A basket of warm bread was delivered to the table along with a nice complimentary plate of Grilled Italian Vegetable Antipasto, a nice selection of cheese, roasted red peppers, olives, eggplant, chick peas and other savory goodies. Each meal also includes a house salad. 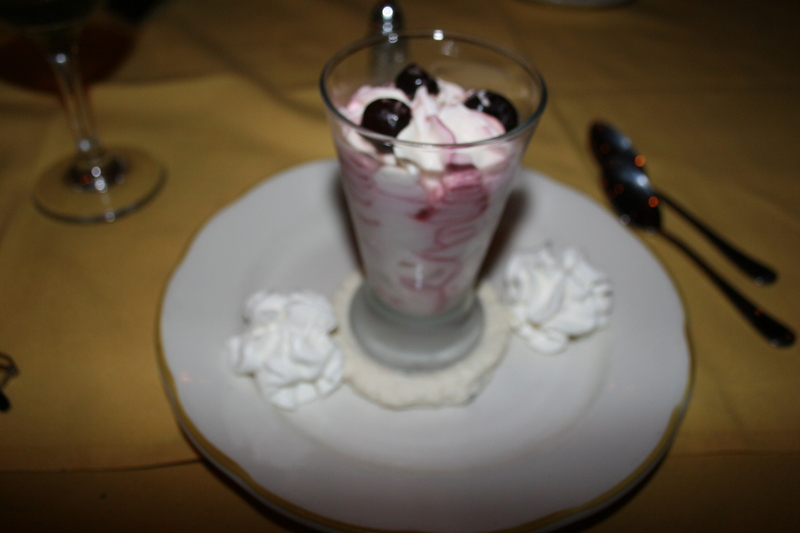 It was enough to enable us to skip appetizers and focus on our entree selections. 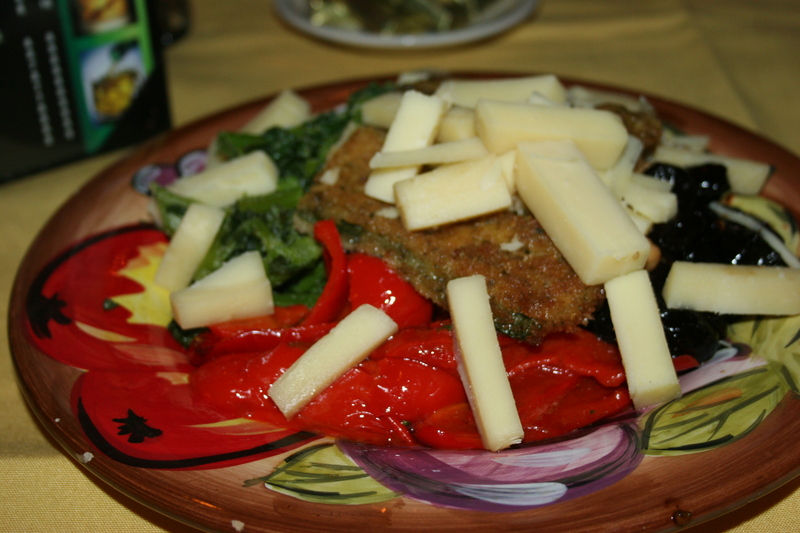 Kathy and Carol each chose the Eggplant Parmagiana, lightly breaded and fried then layered with melted mozzarella and topped with a plum tomato sauce. 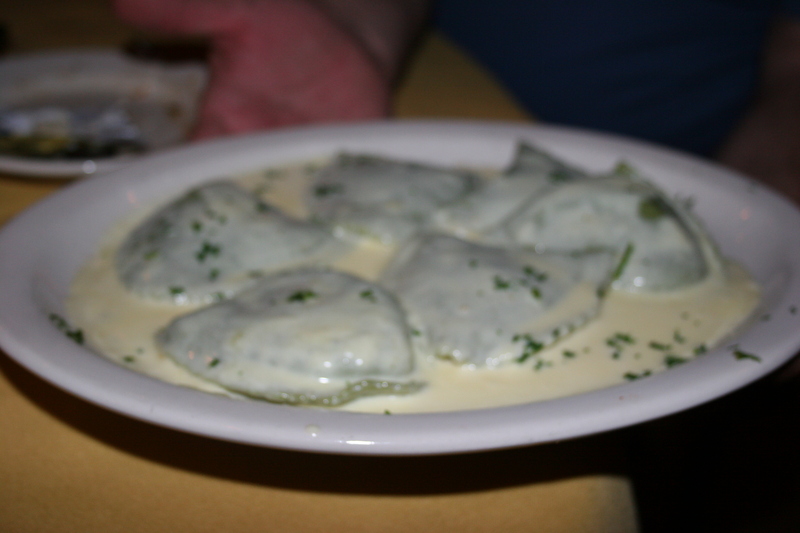 An ample portion of pasta accompanied the dish. 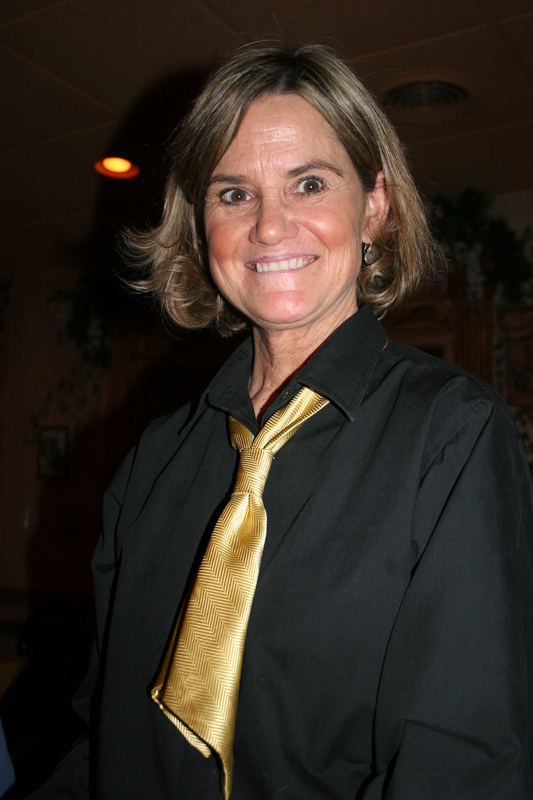 I heard Kathy mention that the eggplant was excellent, among the best she has had. Carol also seemed pleased with her choice. Sue went with the Spinach and Cheese Stuffed Rigatoni, tossed in a creamy alfredo sauce with sliced shitake mushrooms and pieces of parma prosciutto. 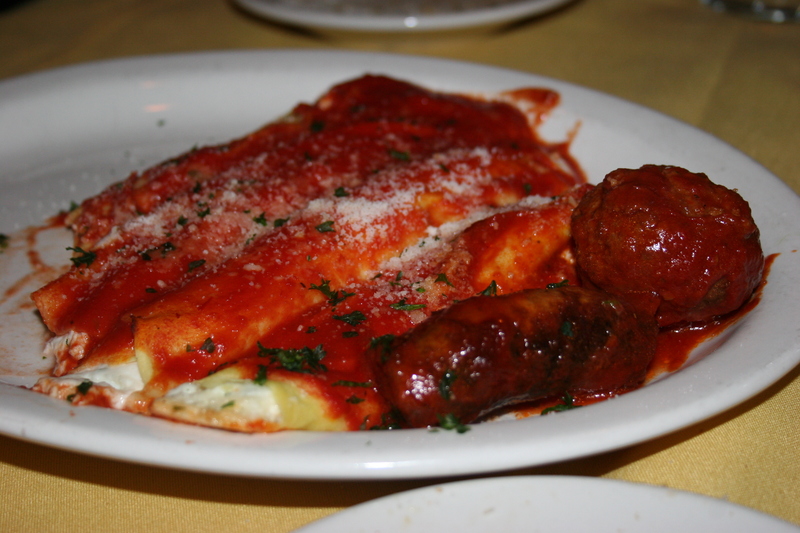 Joe had the Cheese manicotti, fresh crepes stuffed with ricotta cheese, rolled and baked, then topped with homemade tomato sauce served with meatballs or sausage. Joe chose one of each and thought the dish was well done. 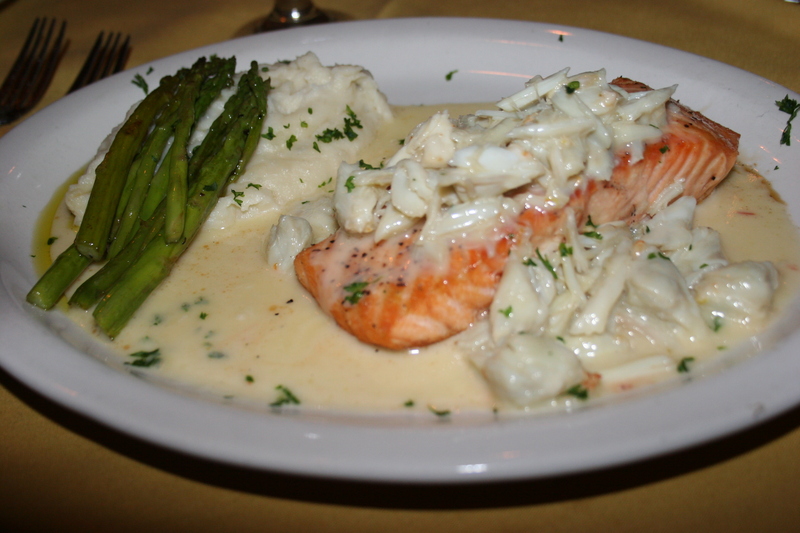 Gerry and I each picked the Salmone alla Griglia, fresh salmon grilled on an open flame then topped with a delicate Limoncello sauce and jumbo lump crab meat. It came with garlic mashed potatoes and asparagus spears. As with all of our entrees, the price is high but there is no question the product served is first class. My salmon was cooked perfectly and the Limoncello sauce was one of the best sauces I have ever had on fish. I ate half and took the rest home for dinner the next evening. As much as the prices for appetizers and entrees shocked us, and remember, we eat out virtually every weekend, the fee for wine and desserts was not in the same league. 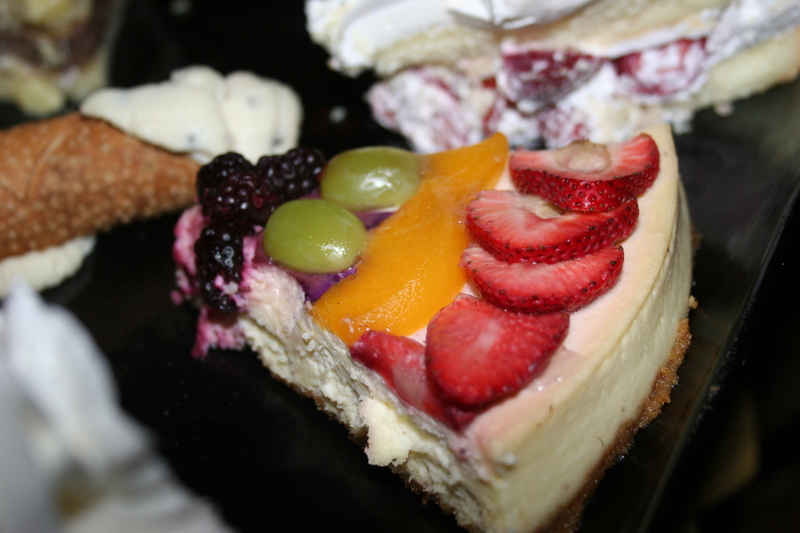 I know that’s a cheesecake topped with fruit on the left but I’m not sure what the tempting cake is on the right. 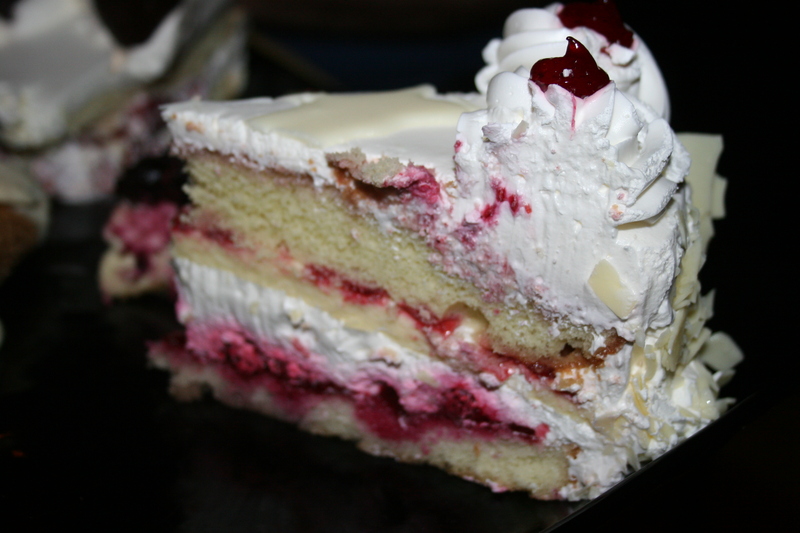 It did have lots of creme and raspberry filling. 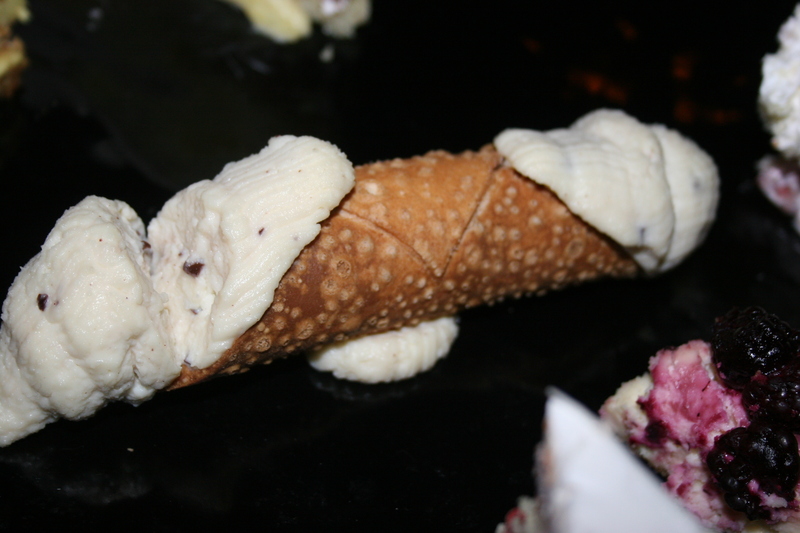 Kathy had the cannoli and I selected something called Coppa Spagnola, vanilla and amarena cherry gelato swirled together and topped with cherries. It was nice and light and provided an appropriate ending to a very good meal. 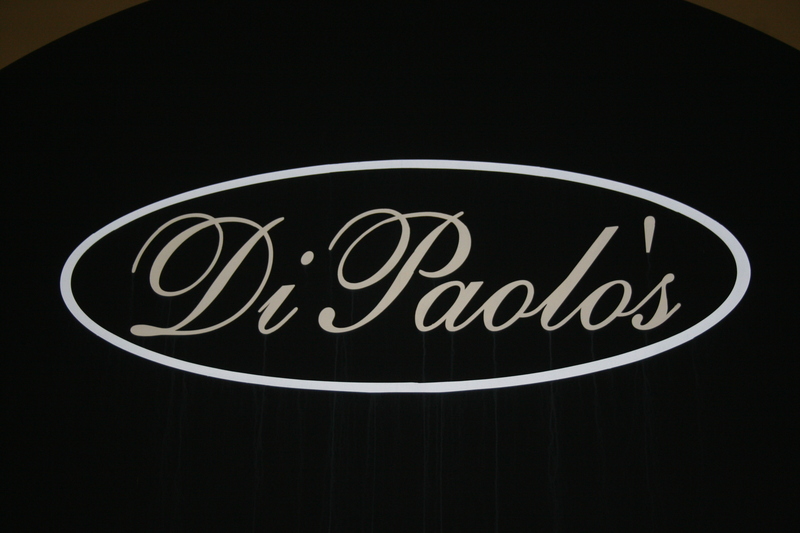 If you go on to DiPaolo’s website you can review their menu. You won’t find any prices listed next to any of the items and I’m not going to list them here, either. Suffice to say, it’s a nice place for a special dinner and the food might possibly justify the prices. I’m still thinking about that Limoncello sauce on the salmon.